The Ohio State University’s intensive English program, the American Language Program (ALP), was founded in 1983. The ALP serves graduate and undergraduate students who have not yet reached the level of English proficiency required for regular academic admission. Most ALP students plan to pursue an academic program at The Ohio State University, but many go on to study at other institutions. Ohio State ranks among the top 10 destinations for international students in the United States, enrolling over 6000 students from more than 110 countries. Our goal at the ALP is to encourage you to experience university life and American culture. For application information click on Applications. Our Approach: ALP students learn through theme-based, integrated skills units and active participation in the university community. 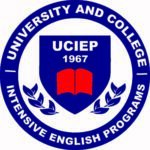 UCIEP: Consortium of University and College Intensive English Programs (UCIEP) member since 1986. EducationUSA: EducationUSA centers are the U.S. State Department‘s network of over 400 advising centers in 170 countries designed to assist local students find the appropriate college or university in the United States. Click on this link to find your center!